Butyrate is the name of the conjugate base of butyric acid. The chemical formula of butyrate is C4H7O2− and its name forms part of the various esters and salts of butyric acid including, Methyl butyrate, Butyl butyrate, Ethyl butyrate, Pentyl butyrate, and Sodium butyrate. Various foods contain butyrate and we also produce it in our colons through the fermentation of non-digestible carbohydrates and lactates found in primary fibre. Butyrate is a Short-chain fatty acid (SCFA), which are created by the beneficial probiotic bacteria that feed on and ferment prebiotics, plant products that contain dietary fibre [1-2]. SCFAs, have been shown to exert a variety of beneficial effects on the energy metabolism of mammals. The underlying mechanisms regulating these effects are the focus of much research and include the complex interactions between diet, gut microbiota, and the energy metabolism of the host. Butyrate is an important source of food for the colonocytes, the cells lining the colon which rely on it for energy, without a supply of butyrate these cells die . SCFAs are beneficial to the populations of colonocytes in the colon and help them to produce energy for cell function and proliferation. It is estimated that butyrate is responsible for approximately 70% of the energy created by colonocytes making it the most important SCFA in colon homeostasis . There is also some data to suggest that this particular SCFA also offers some level of protection against colon cancer . Butyrate is mostly not absorbed into the body because it is primarily used by colon cells, where it serves as a major source of energy . Butyrate-producing bacteria, like Clostridium butyricum, live in the end part of the gut, in the colon . Colonocytes utilize butyrate produced by the bacteria to regulate energy metabolism and autophagy in the gut, a study confirmed that the microbiota is vital for maintaining NADH/NAD+ ratios and ATP levels in the colon but not liver, heart, kidney, or testis . This tissue specificity is likely due to the fact that colonocytes use bacterially-produced butyrate as their primary source of energy, while the majority of other cell types use glucose. In the mitochondria of colon cells, between 70-90% of butyrate is oxidized into acetyl-CoA, which is then processed via the tricarboxylic acid cycle to generate a large amount of Adenosine Triphosphate. Adenosine triphosphate (ATP), a type of cellular energy used by all cells in the body . The production of butyrate not only leads to the maintenance of NAD+ from NADH + H+ produced in the upper parts of the carbohydrate degradation pathways for ATP production but also leads to additional ATP production [10-13]. Some butyrate-producing bacteria, including A. caccae, A. butyraticus, A. hadrus, and E. hallii, are able to produce butyrate from lactate instead of carbohydrates [14-20]. As well as helping to provide energy, butyrate also helps to regulate the growth of the colonocyte cells that line the gut. Butyrate also appears to have anti-inflammatory properties and promotes the function of the digestive system in general. It is also thought to play an important role in brain function and health. Butyrate is found in dairy products like butter and raw milk, while also being present in plant oils and animal fats. Broadly foods fall into two categories, foods that contain butyrate and directly increase the level of butyrate in your body, and foods that help promote the production of butyrate and indirectly increase butyrate levels. Both are viable approaches and a combination of the two may be the most effective as a health strategy. Butter contains up to 4% butyric acid and is the most common dietary source of butyrate . Ghee is a type of clarified butter which originated from the Indian subcontinent; it is typically used in South Asian cooking, and also in traditional medicine and religious rituals. Because ghee is produced from butter, it has similar nutritional properties though it lacks casein and lactose, so is ideal for people allergic to these things. Ghee has a higher proportion of SCFAs including butyrate making it even better than butter. Butyrate is also found in other dairy products such as milk, cheese, and yogurt. There is even some research that shows that probiotic yogurts can help to increase the level of butyrate, provided you do not have issues absorbing lactose . Whole grains are also an excellent way to increase butyrate. Butyrate is produced from fibre and non-digestible carbohydrates which the colonocytes use to create butyrate making whole grains useful in increasing levels . Fruits and vegetables contain fibre and can also help increase butyrate levels, the ones higher in fibre are best and include bananas, onions, asparagus, apples, raspberries, and avocados. Beans and legumes such as black beans, lima beans, chickpeas, lentils and split peas are also sources of fibre for raising your butyrate levels. Of course, the amount of butyrate available in foods is relatively small which is why some people choose to use butyrate supplements as a way of increasing the level of butyrate in the body. Butyrate is sometimes promoted as a weight loss supplement, in part because it is an SCFA. Research suggests that obesity can negatively change the composition of the gut microbiome, making weight control more challenging [24-25]. It is thought that SCFAs such as butyrate may help to positively change the gut microbiome and suppress inflammation, thus aiding weight loss . Another reason why it is sometimes touted as a weight loss supplement is the evidence that it may reduce appetite by changing hormone levels in the gut, this could potentially improve weight control . Another mouse study showed that butyrate supplementation helped to prevent obesity and insulin resistance via increased energy expenditure . It is too early to say if these results will translate to humans as the research is in its early stages. There is some evidence that butyrate can help reduce inflammation via inhibition of the nuclear factor kappa-light-chain-enhancer of activated B cells (NF-κB) pathway. NF-κB is a protein complex that regulates the transcription of DNA, cytokine production, and cell survival. NF-κB is found in almost every type of animal cell and is involved in cellular responses to various stimuli such as inflammatory cytokines, oxidative stress, heavy metal exposure, UV radiation, oxidized LDL, and bacterial or viral antigens. Research suggests that butyrate can help to reduce the level of NF-κB-mediated inflammation and in doing so might help to prevent or reduce the risk of developing various diseases . The results of cell studies show that butyrate does reduce inflammation by suppressing the activity of cells and proteins driving inflammation . In a mouse study, supplementing their diet with butyrate-producing fibers counteracted the inflammation caused by bacteria . This anti-inflammatory activity may be linked to the ability of butyrate to support the development of regulatory T-cells cells that block inflammation in the lining of the gut . There is also some evidence that butyrate helps to promote gut health by reducing “leaky gut” via reducing the permeability of the gut barrier . This is important as leaky gut allows harmful bacteria to invade the body and contributes to age-related microbial burden, a reason why we age [34-35]. A shortage of butyrate-producing bacteria in the gut can lead to serious problems [36-37]. There is data suggesting that inflammatory diseases like ulcerative colitis, Crohn’s disease, and inflammatory bowel disease may be intrinsically linked to butyrate. Research shows that people with these conditions are less able to metabolize butyrate which is likely a reason for their symptoms [37-39]. Research also suggests that supplementation with butyrate may help to improve these conditions [40-48]. The reasons why butyrate appears to improve these conditions may be due to its anti-inflammatory activity, the direct influence of increased butyrate, or both. Regardless, it is clear that butyrate is beneficial to health in these conditions. There is evidence that butyrate can also help with brain health. Butyrate, like exercise, can improve long-term memory by bolstering plasticity . A study using a stroke model mouse demonstrated that treatment with sodium butyrate encouraged the development of new nerve cells in damaged areas of the brain following injury . Sodium butyrate also improved the integrity of the blood-brain barrier in mice following brain trauma, which aided injury recovery . As well as nerve damage in the brain, butyrate has been shown to protect nerve cells in the ear following treatment with antibiotics, preventing hearing loss . Interestingly, not only direct treatment with butyrate but also butyrate-producing bacteria also have the potential to address nerve damage. A study showed that mice pre-treated with a type of butyrate-producing bacteria had better outcomes in a model of brain injury when compared to control mice . The same bacteria were neuroprotective and helped to address vascular dementia, a condition where nerve cells are destroyed due to blockage of the blood supply . Even in perfectly healthy mice with no diseases, the butyrate-producing bacteria were able to increase the integrity of the blood-brain barrier helping to prevent the infiltration of pathogens . Further support for the neuroprotective activity of butyrate comes from a study that showed that it was also able to prevent nerve cell death in a mouse model of spinal muscular atrophy . There is also some evidence to support that Sodium butyrate and sodium phenylbutyrate could be helpful in combating depression and other similar conditions . A study showed that mice kept under constant mild stress benefited from treatment with sodium butyrate, it showing an antidepressant-like effect . In another study, sodium butyrate was also shown to address depression and improved cognition in mice . Sodium butyrate is also known to influence the hippocampus, a part of the brain that is involved in emotions, a study showed that it increased a number of proteins that are key to nerve cell growth . Finally in a study, sodium phenylbutyrate, also improved anxiety and depression in mice . Butyrate has also shown to have promise in managing diabetes. 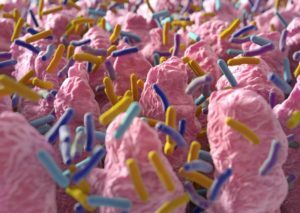 There is evidence that people with diabetes have an imbalance in the microbiome of the gut. A review concluded that butyrate had a positive influence on the gut flora of both type 2 diabetic animals and humans . Human studies have also correlated high levels of fermentable fibre with improved blood sugar regulation as well as improved insulin sensitivity [63-64]. This improvement to insulin sensitivity is further evidenced in mice, in this study butyrate increased insulin sensitivity . In a rat study, sodium butyrate protected insulin-producing cells and prevented the release of sugar into the bloodstream . Butyrate has been shown to be beneficial for protecting nerve cells in multiple studies [67-68]. It has also proven effective in mouse models of Alzheimer’s [69-70]. Phenylbutyrate has been shown to improve cognition and reduce the accumulation of misfolded proteins in the brain which leads to the formation of plaques in the brain typical of Alzheimer’s disease . Phenylbutyrate has also been shown to improve mouse models of Huntington’s disease, a disease that causes damage to nerve cells making them die. Treatment with Phenylbutyrate was shown to improve movement, weight control, visual recognition, and gene expression . Similar positive benefits were also observed in a cell culture study, cells, carrying the faulty gene responsible for Huntington’s disease in humans exposed to butyrate had a longer lifespan once treated . Butyrate may also be helpful in supporting and protecting the mitochondria, the powerhouses of our cells. A study showed butyrate was able to protect cells from radiation damage and helped prevent the mitochondria from dying, the typical result of radiation exposure . Butyrate has been shown to improve the health of animals with liver disease . Another study has demonstrated that butyrate can protect the pancreas from damage in mice suffering from acute pancreatitis . Sodium butyrate was also shown to prevent atherosclerosis in a mouse model of the disease . In humans, it is thought that butyrate influences genes that are key players in the production of cholesterol and may reduce their production to help the heart stay healthy . Butyrate appears to have antibacterial action against certain types of bacteria, for example, one study showed that n-butyric acid is able to destroy Salmonella and Clostridia perfringes, these cause salmonellosis and gangrene respectively and are incredibly harmful . Another study showed that butyrate was also able to make Salmonella more vulnerable to treatment by altering the activity of its genes . In fact, butyrate is already used for treating salmonellosis in poultry . Butyrate was also shown to destroy the protective cell wall in the bacteria H.pylori, responsible for causing gastritis . Butyrate and phenylbutyrate are also able to indirectly destroy bacteria by boosting the production of antibacterial proteins that help to destroy harmful bacteria . Butyrate : possible side effects ? While there do indeed appear to be many positives to butyrate there are also some things to consider which may not be beneficial. For example, butyrate has been shown to increase cancer cell growth in the guts of mice treated with antibiotics . There is also some evidence that butyrate may impair the proliferation of intestinal stem cells and prevent the repair of gut tissue following an injury or damage from autoimmune diseases such as inflammatory bowel disease . This may be due to how butyrate inhibits the growth of intestinal stem cells via upregulation of the Foxo3 gene, typically observed in inflammatory bowel disease . In a normal healthy gut, intestinal stem cells are protected by the gut crypts, they are concealed inside these structures and avoid contact with butyrate. However, when the gut is damaged the gut crypts may no longer protect the intestinal stem cells leading to reduced repair capacity . Canani, R. B., Di Costanzo, M., Leone, L., Pedata, M., Meli, R., & Calignano, A. (2011). World journal of gastroenterology: WJG, 17(12), 1519. Bourassa, M. W., Alim, I., Bultman, S. J., & Ratan, R. R. (2016). Neuroscience letters, 625, 56-63. Donohoe, D. R., Garge, N., Zhang, X., Sun, W., O’Connell, T. M., Bunger, M. K., & Bultman, S. J. (2011). Cell metabolism, 13(5), 517-526. Zeng, H., Lazarova, D. L., & Bordonaro, M. (2014). World journal of gastrointestinal oncology, 6(2), 41. Lupton, J. R. (2004). The Journal of nutrition, 134(2), 479-482. Kallus, S. J., & Brandt, L. J. (2012). Journal of clinical gastroenterology, 46(1), 16-24. Roediger, W. E. (1980). Gut, 21(9), 793-798. Chakraborti, C. K. (2015). World journal of gastrointestinal pathophysiology, 6(4), 110. Falony, G., Verschaeren, A., De Bruycker, F., De Preter, V., Verbeke, K., Leroy, F., & De Vuyst, L. (2009). Applied and environmental microbiology, 75(18), 5884-5892. Louis, P., & Flint, H. J. (2009). FEMS microbiology letters, 294(1), 1-8. Mahowald, M. A., Rey, F. E., Seedorf, H., Turnbaugh, P. J., Fulton, R. S., Wollam, A., … & Cantarel, B. L. (2009). Proceedings of the National Academy of Sciences, 106(14), 5859-5864. De Vuyst, L., & Leroy, F. (2011). International journal of food microbiology, 149(1), 73-80. Rivière, A., Selak, M., Lantin, D., Leroy, F., & De Vuyst, L. (2016). Frontiers in microbiology, 7, 979. (Figure2B;2B). Duncan, S. H., Louis, P., & Flint, H. J. (2004). Applied and environmental microbiology, 70(10), 5810-5817. Falony, G., Vlachou, A., Verbrugghe, K., & De Vuyst, L. (2006). Applied and environmental microbiology, 72(12), 7835-7841. Belenguer, A., Holtrop, G., Duncan, S. H., Anderson, S. E., Calder, A. G., Flint, H. J., & Lobley, G. E. (2011). FEMS microbiology ecology, 77(1), 107-119. De Vuyst, L., Moens, F., Selak, M., Riviere, A., & Leroy, F. (2014). Journal of applied microbiology, 116(3), 477-491. Rizkalla, S. W., Luo, J., Kabir, M., Chevalier, A., Pacher, N., & Slama, G. (2000). The American journal of clinical nutrition, 72(6), 1474-1479. Kiessling, G., Schneider, J., & Jahreis, G. (2002). European journal of clinical nutrition, 56(9), 843. Blaut, M. (2015). Proceedings of the Nutrition Society, 74(3), 227-234. Remely, M., Aumueller, E., Merold, C., Dworzak, S., Hippe, B., Zanner, J., … & Haslberger, A. G. (2014). Gene, 537(1), 85-92. Canfora, E. E., Jocken, J. W., & Blaak, E. E. (2015). Nature Reviews Endocrinology, 11(10), 577. Gao, Z., Yin, J., Zhang, J., Ward, R. E., Martin, R. J., Lefevre, M., … & Ye, J. (2009). Diabetes, 58(7), 1509-1517. Zimmerman, M. A., Singh, N., Martin, P. M., Thangaraju, M., Ganapathy, V., Waller, J. L., … & Liu, K. (2012). Sherry, C. L., Kim, S. S., Dilger, R. N., Bauer, L. L., Moon, M. L., Tapping, R. I., … & Freund, G. G. (2010). Brain, behavior, and immunity, 24(4), 631-640. Furusawa, Y., Obata, Y., Fukuda, S., Endo, T. A., Nakato, G., Takahashi, D., … & Takahashi, M. (2013). Nature, 504(7480), 446. Kanauchi, O., Iwanaga, T., Mitsuyama, K., Saiki, T., Tsuruta, O., Noguchi, K., & Toyonaga, A. (1999). Journal of gastroenterology and hepatology, 14(9), 880-888. Mu, Q., Kirby, J., Reilly, C. M., & Luo, X. M. (2017). Frontiers in immunology, 8, 598. Lustgarten, M. S. (2016). Frontiers in genetics, 7, 212. Machiels, K., Joossens, M., Sabino, J., De Preter, V., Arijs, I., Eeckhaut, V., … & Ferrante, M. (2013). Gut, gutjnl-2013. Cao, Y., Shen, J., & Ran, Z. H. (2014). Gastroenterology research and practice, 2014. Fujimoto, T., Imaeda, H., Takahashi, K., Kasumi, E., Bamba, S., Fujiyama, Y., & Andoh, A. (2013). Journal of gastroenterology and hepatology, 28(4), 613-619. Sabatino, A., Morera, R., Ciccocioppo, R., Cazzola, P., Gotti, S., Tinozzi, F. P., … & Corazza, G. R. (2005). Alimentary pharmacology & therapeutics, 22(9), 789-794. Miquel, S., Martin, R., Rossi, O., Bermudez-Humaran, L. G., Chatel, J. M., Sokol, H., … & Langella, P. (2013). Current opinion in microbiology, 16(3), 255-261. Pituch, A., Walkowiak, J., & Banaszkiewicz, A. (2013). Przeglad gastroenterologiczny, 8(5), 295. Banasiewicz, T., Krokowicz, Ł., Stojcev, Z., Kaczmarek, B. F., Kaczmarek, E., Maik, J., … & Drews, M. (2013). Colorectal Disease, 15(2), 204-209. Hallert, C., Björck, I., Nyman, M., Pousette, A., Grännö, C., & Svensson, H. (2003). Inflammatory bowel diseases, 9(2), 116-121. Scheppach, W., & German-Austrian SCFA Study Group. (1996). Digestive diseases and sciences, 41(11), 2254-2259. Vernia, P., Monteleone, G., Grandinetti, G., Villotti, G., Di Giulio, E., Frieri, G., … & Torsoli, A. (2000). Digestive diseases and sciences, 45(5), 976-981. Intlekofer, K. A., Berchtold, N. C., Malvaez, M., Carlos, A. J., McQuown, S. C., Cunningham, M. J., … & Cotman, C. W. (2013). Neuropsychopharmacology, 38(10), 2027. Kim, H. J., Leeds, P., & Chuang, D. M. (2009). Journal of neurochemistry, 110(4), 1226-1240. Li, H., Sun, J., Wang, F., Ding, G., Chen, W., Fang, R., … & Liu, J. (2016). Brain research, 1642, 70-78. Wang, J., Wang, Y., Chen, X., Zhang, P. Z., Shi, Z. T., Wen, L. T., … & Chen, F. Q. (2015). American journal of otolaryngology, 36(2), 242-248. Sun, J., Ling, Z., Wang, F., Chen, W., Li, H., Jin, J., … & Liu, J. (2016). Neuroscience letters, 613, 30-35. Liu, J., Sun, J., Wang, F., Yu, X., Ling, Z., Li, H., … & Yu, J. (2015). BioMed research international, 2015. Braniste, V., Al-Asmakh, M., Kowal, C., Anuar, F., Abbaspour, A., Tóth, M., … & Gulyás, B. (2014). Science translational medicine, 6(263), 263ra158-263ra158. Chang, J. G., Hsieh-Li, H. M., Jong, Y. J., Wang, N. M., Tsai, C. H., & Li, H. (2001). Proceedings of the National Academy of Sciences, 98(17), 9808-9813. Lee, S., Jeong, J., Kwak, Y., & Park, S. K. (2010). Molecular brain, 3(1), 8. Sun, J., Wang, F., Hong, G., Pang, M., Xu, H., Li, H., … & Liu, J. (2016). Neuroscience letters, 618, 159-166. Silva Valvassori, S., Bitencourt Varela, R., Orlandi Arent, C., Colombo Dal-Pont, G., Sarate Bobsin, T., Budni, J., … & Quevedo, J. (2014). Current neurovascular research, 11(4), 359-366. Varela, R. B., Valvassori, S. S., Lopes-Borges, J., Mariot, E., Dal-Pont, G. C., Amboni, R. T., … & Quevedo, J. (2015). Journal of Psychiatric Research, 61, 114-121. Jangra, A., Sriram, C. S., Dwivedi, S., Gurjar, S. S., Hussain, M. I., Borah, P., & Lahkar, M. (2017). Cellular and molecular neurobiology, 37(1), 65-81. Tilg, H., & Moschen, A. R. (2014). Gut, 63(9), 1513-1521. Bays, H., Frestedt, J. L., Bell, M., Williams, C., Kolberg, L., Schmelzer, W., & Anderson, J. W. (2011). Nutrition & metabolism, 8(1), 58. Vogt, J. A., Ishii-Schrade, K. B., Pencharz, P. B., Jones, P. J., & Wolever, T. M. (2006). The Journal of nutrition, 136(8), 2160-2166. Khan, S., & Jena, G. B. (2014). Chemico-biological interactions, 213, 1-12. Ryu, H., Smith, K., Camelo, S. I., Carreras, I., Lee, J., Iglesias, A. H., … & Ferrante, R. J. (2005). Journal of neurochemistry, 93(5), 1087-1098. Govindarajan, N., Agis-Balboa, R. C., Walter, J., Sananbenesi, F., & Fischer, A. (2011). Journal of Alzheimer’s Disease, 26(1), 187-197. Wiley, J. C., Pettan‐Brewer, C., & Ladiges, W. C. (2011). Aging Cell, 10(3), 418-428. Ferrante, R. J., Kubilus, J. K., Lee, J., Ryu, H., Beesen, A., Zucker, B., … & Hersch, S. M. (2003). Journal of Neuroscience, 23(28), 9418-9427. Baorong, Z., Jun, T., Xinzhen, Y., Wei, L., & Kun, X. (2007). Progress in Natural Science, 17(7), 784-788. Steliou, K., Faller, D. V., Pinkert, C. A., Irwin, M. H., & Moos, W. H. (2015). Drug development research, 76(4), 167-175. Jin, C. J., Sellmann, C., Engstler, A. J., Ziegenhardt, D., & Bergheim, I. (2015). British Journal of Nutrition, 114(11), 1745-1755. Zhang, T., Xia, M., Zhan, Q., Zhou, Q., Lu, G., & An, F. (2015). Digestive diseases and sciences, 60(7), 1991-1999. Aguilar, E. C., Leonel, A. J., Teixeira, L. G., Silva, A. R., Silva, J. F., Pelaez, J. M. N., … & Alvarez-Leite, J. I. (2014). Nutrition, Metabolism and Cardiovascular Diseases, 24(6), 606-613. Alvaro, A., Sola, R., Rosales, R., Ribalta, J., Anguera, A., Masana, L., & Vallvé, J. C. (2008). IUBMB life, 60(11), 757-764. Namkung, H., Yu, H., Gong, J., & Leeson, S. (2011). Poultry science, 90(10), 2217-2222. Gantois, I., Ducatelle, R., Pasmans, F., Haesebrouck, F., Hautefort, I., Thompson, A., ..
 Timbermont, L., Lanckriet, A., Dewulf, J., Nollet, N., Schwarzer, K., Haesebrouck, F., … & Van Immerseel, F. (2010). Avian Pathology, 39(2), 117-121. Yonezawa, H., Osaki, T., Hanawa, T., Kurata, S., Zaman, C., Woo, T. D. H., … & Kamiya, S. (2012). Journal of medical microbiology, 61(4), 582-589. Steinmann, J., Halldórsson, S., Agerberth, B., & Gudmundsson, G. H. (2009). Antimicrobial agents and chemotherapy, 53(12), 5127-5133. Belcheva, A., Irrazabal, T., Robertson, S. J., Streutker, C., Maughan, H., Rubino, S., … & Green, B. (2014). Cell, 158(2), 288-299. Kaiko, G. E., Ryu, S. H., Koues, O. I., Collins, P. L., Solnica-Krezel, L., Pearce, E. J., … & Stappenbeck, T. S. (2016). Cell, 165(7), 1708-1720. Lee, J. C., Espéli, M., Anderson, C. A., Linterman, M. A., Pocock, J. M., Williams, N. J., … & Hien, T. T. (2013). Cell, 155(1), 57-69.